Japan’s rice cultivation took root in the Yayoi period and the people began to settle down in the same place going with rice farming. As wet-rice cultivation was introduced into Japan in 300B.C. and spread across the country within only a few hundred years, many ruins from those days, large and small, can be found everywhere in Japan. 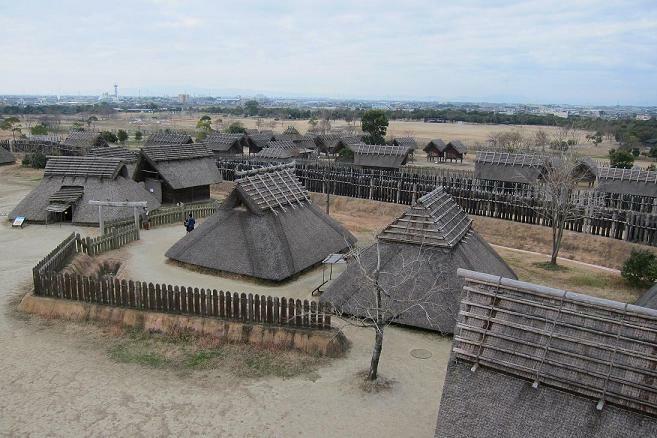 Among these ruins, this Yoshinogari is the largest one and is opened to the public as a State-run Yoshinogari Historical Park. 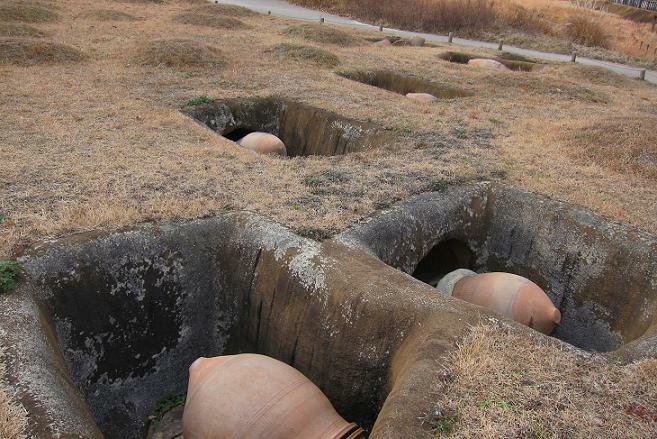 This ruins feature the transition of way of life of the ancient village for 600 years. 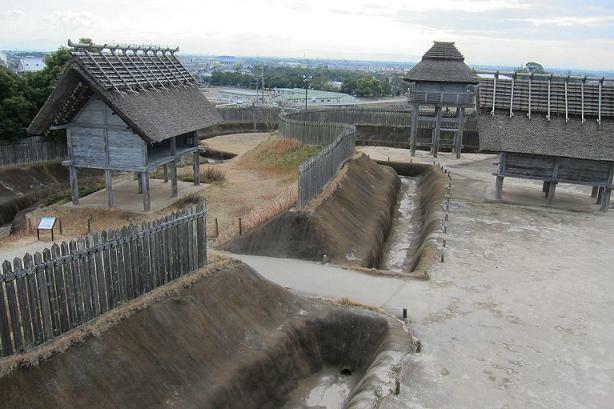 With the population of 6,000 in its golden age, Yoshinogari had double V-shaped moats and several watchtowers, which means this site should be called a fortress. (As shown in the first picture) In addition, a big shrine located in the centre of the site signifies that this village was controlled by animists or shamans.